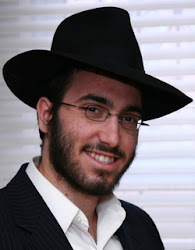 This blog is dedicated to our dear friend, Nosson Deitsch OBM, who was tragically torn away from us on Lag B’Omer 5770. Nosson was a one-of-a kind Bochur who influenced many people, from all ages and backgrounds. He had a perpetual smile on his face and an extremely generous heart. He would do the biggest favor for a friend with only a moment’s notice. All those who knew him feel they had a unique relationship with him. There are many untold stories of his selflessness, kindness, and the affect he had on countless lives. Please share your story, so that others can get a glimpse into his unique character and towering accomplishments. Bais Chana Tzfas Seminary took apon themselfs to memorize the entire Lekutei Amarim Tanya Baal Peh L"IN Nosson Deitsch. 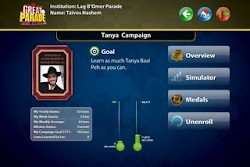 B"H, together, they have almost completed the Tanya. May we only hear of Simchas, and merit to have Mashiach speedily in our times. Please share your memories and your pictures, by using this form. or by sending them to rememberingnosson@gmail.com or elichitrik@gmail.com. To download the kovetz published in Nosson's memory, please click here.